Sold by ValueHealth AU and Fulfilled by Amazon. Gift-wrap available. COMPUTER BACK PAIN AND HUNCHING - treatment for hunched upper back pain driving neck pain and headache. 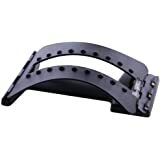 For all people who get sore bending forwards - especially smartphone, laptop and tablet users. PAIN-FREE PERFECT POSTURE - the Backpod package is specifically designed to pull a hunched spine back towards pain-free perfect posture. Home care program includes the simple strengthening, stretching, massage and posture found most effective. It’s not just the pain and headache - a hunching spine sends a message of submission and lack of self-confidence. Perfect posture gets attention. ESPECIALLY - for Costochondritis, Tietze's Syndrome, Asthma, Ankylosing Spondylitis, Rib Pain in Pregnancy, Scoliosis, Scheuermann's Disease. 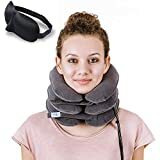 Designed to stretch free tight rib joints causing the breastbone pain of costochondritis and Tietze’s Syndrome (read the reviews), and also rib pain in pregnancy. A freer rib cage allows better breathing in asthma and athletes. SAVE MONEY - by reducing the need for expensive manipulation treatments to keep unlocking your spine. Just accurately stretch the joints free and keep them free yourself. MULTIPLE INTERNATIONAL AWARD-WINNING Backpod developed in New Zealand from 30 years’ expertise in what actually works in treating spines. 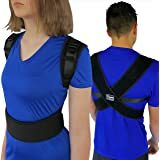 The Backpod offers effective home treatment for upper back and neck pain caused by; bad posture, excessive and repetitive computer work, overuse of mobile tools, etc. The Backpod is a practical New Zealand innovation developed to address a problem which was either ignored or misunderstood for far too long. It has been developed by New Zealander Steve August, a physiotherapist for over 30 years', with extensive experience in treating back and neck pain issues. The tool has had an extremely positive reception in the professional community and from customers who have genuinely found a solution to a painful and debilitating physical issue. It is especially effective for the very common hunched back and/or tightened upper back that drives most neck pain and headache. Statistically, most people will experience this problem at some point; one in six people will be in acute pain right now; and everyone knows someone who is stooped and sore - usually hunching over a laptop, tablet or smartphone has an element of cause. 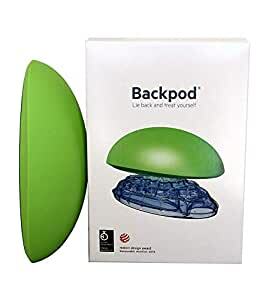 There are extensive materials available to support the correct usage of The Backpod - this includes videos showing the simple exercises, massage, stretches and posture found most effective to care for your upper back and neck at home. The Backpod is a stand-alone, home treatment device and ongoing care program. It also helps and enhances existing treatment from doctors, physiotherapists, osteopaths, chiropractors and other health professionals. The Backpod also has specific uses in opposing the twist in mild scoliosis and loosening restricted rib (costovertebral) joints, which are commonly tight in asthma and also drive most costochondritis (see Steve's video How To Fix (Most) Costochondritis and Tietze's Syndrome Chest Pain). I’ve been diagnosed with costochondritis a few months ago and was advised to take painkillers and to rub some voltaren on my chest. Needless to say - none of that helped. It got quite bad, it didn’t interfere with my everyday activities, however I constantly felt some pain in my chest that wasn’t going away. I started using back pod and my symptoms got worse at the beginning. I thought I’d still give it a go and after a couple of weeks I have stopped using the backpod because I’ve been symptom free for weeks. An amazing product that actually works. 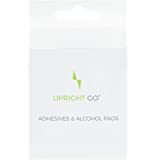 Worked perfectly for me - I would highly recommend it for anyone with back issues, especially costrochondritis - you can feel substantially looser after just one use. 5.0 out of 5 starsReally surprised! When I looked this thing up, I saw the picture and thought, “that looks like a nerf football cut in half!”. I have suffered with costochondritis for over 10 years that at first resulted in several trips to ER thinking that I was having a heart attack. This condition makes me get bad anxiety and I would not wish it on anyone. I also have upper neck and back issues that contribute as well. I read the reviews, and after reading the ones about helping with Costo I thought what is another $90 or so amongst the thousands already spent? I purchased it and when I received it found that it was actually well built. I used it as the instructions said, and immediately noticed a small change, but nothing dramatic. I am glad that I read the reviews that said to stay with it because if I had not I might have gotten discouraged and quit using it. After about a week my back and neck started to loosen up, and the tightness and dull pain from the costo started to subside. It actually worked! I am now using it every couple of days when I start to feel things starting to tighten up again. All I can say is: this is a great product (though simple) that has been life changing for me. I have not been paid or given anything for this review. I am giving this review because this device has helped me. My husband has spent many years with severe back pain and chest pain that is sometimes so bad it has sent him to the ER (thinking he's having a heartattack). He has seen many doctors and chiropractors that have not been able to help him or even properly diagnose his issue. These days in the medical community if you are not dying then you go home with a diagnosis of "too bad so sad" & a Rx for "deal with it" and no one bothers to look any further than terminal illnesses. Then I found the backpod and it changed everything. When I first received it I laughed and said "I paid how much for this crappy thing?" It is so very simple and basic and so ridiculously easy to use there is really zero effort on your part & only takes about 3 minutes or so. You just put it on the floor and lay on it - that's it. It sounds too good to be true, and we all know about those offers, but this product is an exception. After a very short time of use my husband has almost no back OR chest pain. 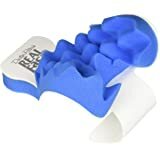 As it turns out "costochondritis" has been the culprit of many years of mystery pain so if you have been experiencing back pain accompanied by chest pain then please look it up and then order yourself a backpod. $90 is a lot of money for me but it is so much cheaper than physical therapy or chiropractor or medication. Not to mention just not being in pain anymore which is priceless. Wow, its just a plastic lump that I lie on for 5-10 minutes 5 times a week!! AND IT WORKS, IT FRICKIN WORKS......THANK U!! I've had costochondritis for a year and a half and counting (got it from improper weight lifting form over the course of 10+ years) I've tried everything to relieve the pain, absolute nightmare injury. I swear by this thing!! I never leave the house without it. I probably use it 3-5 times a day. I first use it as instructed, lay down over it and work my way down my back. But there is a secret use for it, as a mini-chiropractor! It takes a certain technique but with a little maneuvering you can pop the unpoppable parts of your back and chest that no amount of elaborate stretching ever could. After I'm done using it I feel like a new person. I show all my friends and family and they love it. I never write reviews for anything but I had to for this. 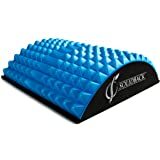 Typing this out is making me want to use it right now :) If you are in pain and are looking for relief, please do yourself a favor and buy the backpod! 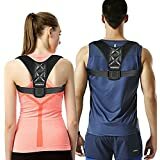 This is my first time writing a product review and I'm doing so because I believe that the backpod has given me more relief in less time than all the adjustments and massages that I've tried at greater expense and effort. Literally 10 minutes a day - I like to do this right before bed - and I wake up without the tension in my shoulder blades and middle back that is otherwise terrible. It's extremely simple to use and you just need a couple of pillows and an area to lay down on the floor to treat yourself. I definitely recommend this!